You are here: Home / Blog / Uncategorized / Have you Heard About This? Arizona is famous for its picturesque beauty and often conjures up images of the wild west and a time that seems so far away. One of the key parts of this image is the wild horses that roam here. There used to be countless horses and now there are only a few surrounding two rivers in Mesa. Forest officials are wanting to remove this horses without a public vote. As members of Arizona’s congressional delegation sought to delay or halt the removal of 100 free-roaming horses in the Tonto National Forest, a state lawmaker said Wednesday she had been promised no removals would take place until at least September. 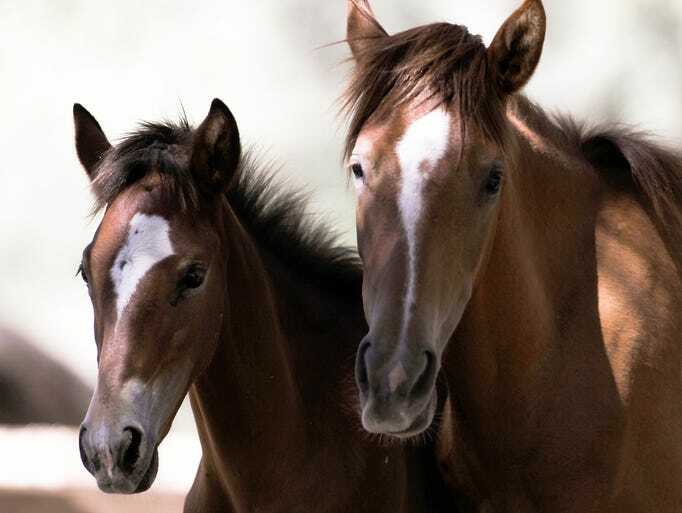 “We are assured that no action will be taken to round up or remove the Salt River horses before the U.S. Congress comes back into session in early September,” state Rep. Kelly Townsend, R-Mesa, said late Wednesday. Townsend said she was given the assurance after meetings with U.S. Forest Service officials. An injunction would force a legal debate on the merits of the Forest Service’s proposed action. The voluntary halt touted by Townsend will allow time to seek a political compromise. “Now that we know that there is some breathing room — hopefully we can come to good solution in this matter,” Townsend said. Adding Value to the Sale of Your Home Let’s Bust Some Home Staging Myths!